An immaculately presented 4 bedroom detached family home within the desirable Sovereign Gate development. 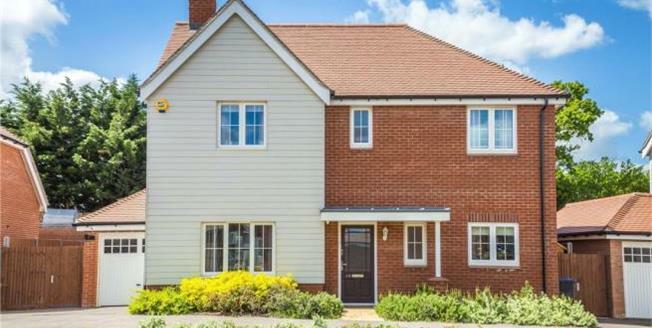 This bright and spacious property was constructed in 2016 and is set over two floors. The ground floor comprises a reception room, kitchen diner, downstairs cloakroom, utility room and a recently added conservatory with bi-fold doors to the rear, overlooking a beautiful rear garden. To the first floor is a master en-suite bedroom, 3 further bedrooms and a family bathroom. To the rear aspect is an impressive full-width slate tiled patio/entertaining area with multi-level beds leading up to central steps and lawned areas fully enclosed by fencing.